Say goodbye to keys! 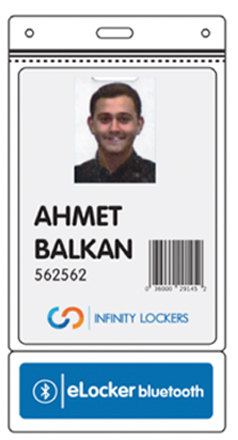 eLocker contactless is a smart locker system which lets you allocate lockers from a single online dashboard. 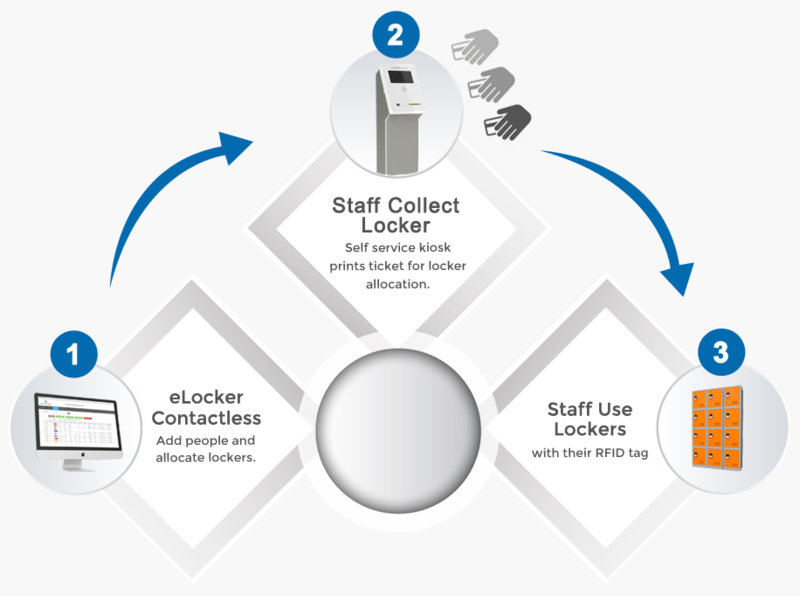 Our eLocker 'self-service' kiosk allows you to allocate lockers, then sit back as staff collect lockers with no input required from site management. All allocations are automatically logged on the web server. Learn everything you need to know about the eLocker range with our free product brochure. There is no communication between the lock and system. The allocation is just added to the RFID tag. The simplicity in design of eLocker contactless means staff can be trained within an hour to use the eLocker system effectively. eLocker provides 24 hour monitoring and support. All components in our locks have been developed with battery life consideration. This means that our low energy locks will last up to 10 years (depending on frequency of use). eLocker employs the most secure end-to-end encryption in all aspects of the system, using AES128 for card reading, mutual authentication for Bluetooth transfers and mutual token assurance for API calls.